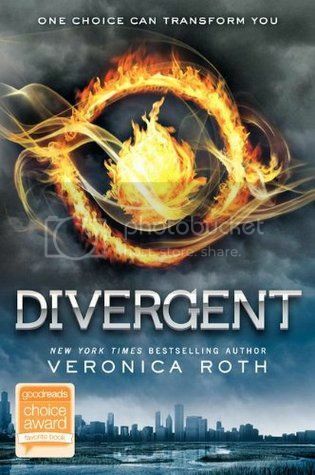 I read Divergent earlier this year, and really enjoyed the book. I kept putting off reading Insurgent because I knew it had one of those terrible cliffhanger endings that make you want to through the book, and it would drive me crazy having to wait on Allegiant to be released. After finishing Insurgent, I am definitely glad that I waited, but I’m also kicking myself as well for not reading this awesome book sooner. I really enjoyed Tris’ character when we met her in Divergent. She was headstrong and strong willed, exactly the character that I love. She was a completely different person in Insurgent, which honestly was expected considering all that she went through in the previous book. Her growing despair was strong enough to impact a lot of the decisions that she made, and she was constantly throwing herself into dangerous paths. While frustrating at times, I am glad that the author chose to write Tris this way, as it was definitely more realistic. The relationship between Tris and Tobias/Four was a strained at best throughout the book. With both having trust issues and having gone through so much, this too was expected. We get to see many different sides of Four in this novel. As with Tris, I really loved him from the moment I first met him. He is such an insanely complex character, what’s not to love, right? Through everything that they have been through, even when they can’t take anymore, they always find their way back to each other. Looooove! The secondary characters—Oh my goodness, there are so many secondary characters that I love. There are some that we met in the previous book, and some that we met for the first time, (and sometimes only briefly), in Insurgent. They all managed to make an impact in some way or another. I could go on and on about each and everyone one of them, but this would be insanely long if I did so. Just read the book so you can see for yourself. I love that we are given so much more information on each individual faction in this book. After reading Divergent, I was always curious for more information, and now I have it. I’m glad for that. I’m super curious to start Allegiant now to find out even more! I’m dying of curiosity. Insurgent is full of action and suspense, and it will definitely keep you turning the pages! The book ends with a MASSIVE cliffhanger as well. I am SO not a big fan of cliffhangers, especially when you have to wait for long periods of time to get the next book. Thank goodness I have Allegiant to start on right away… Not knowing what is going to happen next would make me insane. 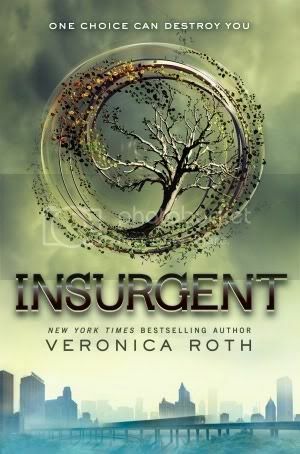 Overall, if you enjoyed reading Divergent, you will definitely enjoy reading Insurgent! It was a great addition to this intense series. 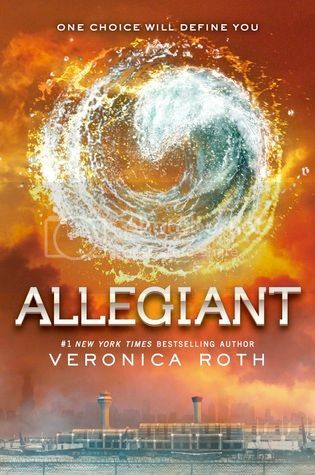 I, of course, will be starting Allegiant right away! "She’s searching for answers to her past. They’re hunting her to save their future." 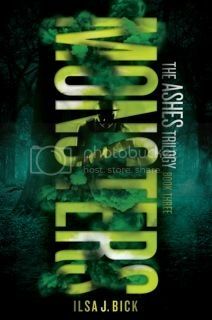 Is anyone else as excited about this book as I am?? I really enjoyed her Revenants series. I can't wait to start this new series! 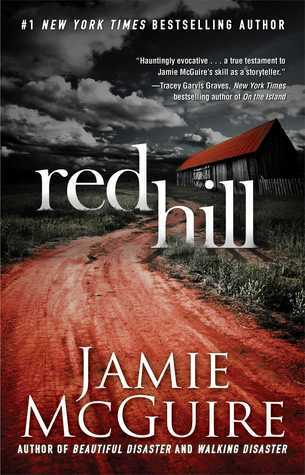 Red Hill by Jamie McGuire is book #5 for my Halloween Reads Week! I was so super excited to start Red Hill, as I really enjoyed reading McGuire’s books in the past. I really didn’t know what to expect when I started the book, but I definitely wasn’t disappointed when I reached the end. This was a really great read. Red Hill is full of amazing characters, all of which I grew to love. The story itself is told from three different viewpoints; through Scarlet, Nathan and Miranda as they try to survive a full-blown zombie apocalypse. It was so very intense and sometimes terrifying to read the book this way, because we got to see so many different perspectives for what was happening. While all of the characters were virtually strangers, they were all also connected in some small way or another. It was really interesting to see all the pieces weave together throughout the book. I could go on and on about all of the characters in this story, but I won’t. Read it for yourself and you will know exactly what I am talking about. The storyline for this book is so very realistic, it’s something that I could totally see happening in real life. This is actually terrifying, when you think about it. The ending of the book tied together very nicely, although I still had some lingering questions that didn’t get answered. Maybe, though, it was better this way. 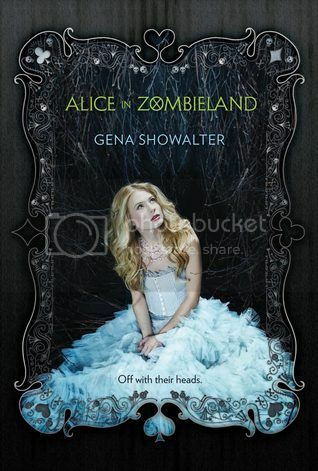 I’ve read quite a few zombie books lately, and I love that each one portrays zombies in a different way. I think McGuire’s take on zombies was a lot more realistic than the other books I’ve read, but that could be because it’s an adult fiction novel, instead of a young adult novel. It was interesting to see the how and why people became zombies, and also seeing how people managed to survive after everything that had happened. This book was so addictive that I finished it in one day. I love when that happens! 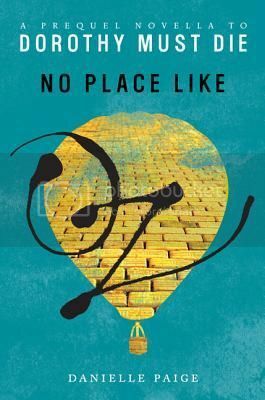 Overall; this book has it all… A great cast of characters that you will love, but probably shouldn’t become too attached to. It has lots of death and destruction, which is exactly what you would expect in a zombie novel. And there’s even a bit of romance that’s super sweet. All of this comes together and makes a thrilling read that you won’t soon forget. 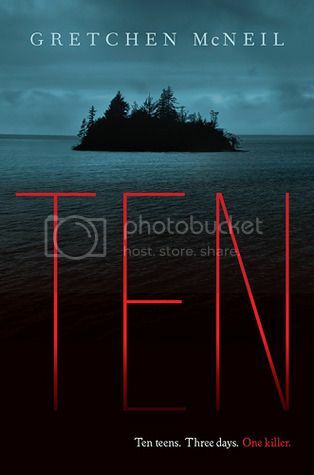 Ten by Gretchen McNeil is the second book I read for my Halloween Reads Week! This is the first book I’ve read by this author, but now I’m definitely interested in reading more. Ten is about a group of kids that are invited to an island for a weekend full of partying and luxury. It seems their weekend is off to a great start, until people suddenly start dying. 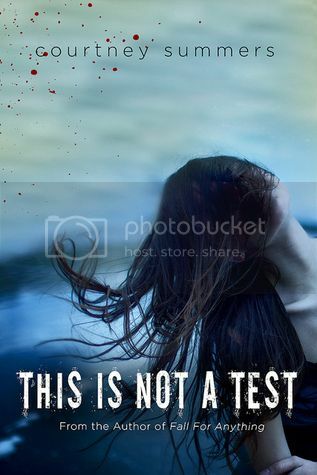 With no way to contact anyone back home, it’s up to Meg and her fellow housemates to figure out who the killer is, and stop them, before there is no one left. There were a lot of characters in this book, but the story was told from Meg’s perspective. Meg was a very likable character, not only by me, but by the other kids in the house with her as well. I love that she is super quick to come up with ideas to help them in their situation. T.J., who is Meg’s crush in the story, seems to be a really good guy, and he really cared for Meg. There were more than a few characters in the book that I really didn’t care for, Meg’s best friend Minnie being one of the main ones. I found her extremely annoying and I found the relationship between the two to be extremely unhealthy. I didn’t like the way she treated Meg at all. The rest of the secondary characters were pretty much average teenagers, not much to say about them. The best part of the book is that it kept me guessing. I really didn’t catch on to who the killer was, and I pleasantly surprised in the end that it wasn’t anyone that I expected. McNeil holds nothing back when she writes the murders, often they are done in an extremely brutal way. I honestly didn’t expect there to be quite as many involved as there were, but the more I read, the more it happened. This book was a really fast paced, and it definitely had the creep factor going for it, which made it a great Halloween read. Overall; I didn’t know what to expect when I started this book, but I definitely got more than I bargained for. This book was super creepy and mysterious, and I really enjoyed reading it for one of my Halloween Reads! 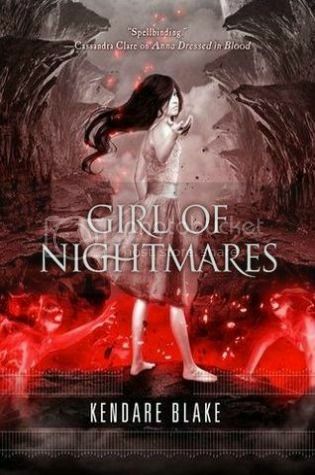 Girl of Nightmares kicks of my Halloween Reads week for 2013! I read Anna Dressed in Blood a while back, and enjoyed the book SO very much. I don’t know what I waited so long to read Girl of Nightmares, but I am glad that I did. It was such a great, creepy read. Perfect for Halloween! I have really loved Cas since we met him in Anna Dressed in Blood. I still haven’t read many books from a guys point of view, and it’s always interesting to get inside their heads. 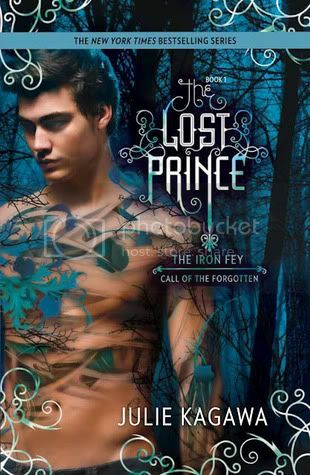 In this book, Cas is pining away for the girl that he loves, Anna. He’s wondering what happened to her after she sacrificed herself to save Cas and his friends. When he starts having visions of Anna, he finally see’s the horror of what she’s going through, and of course, he’s going to do whatever he can to stop her torment, even when that means going into Hell himself to find her. Leave it to Cas to do something quite so brave to save his girl. I love the secondary characters in the story as much as I did in the first book. Thomas and Carmel were so great together, even when there were moments in this book when I wanted to smack Carmel. I love Cas’ mom, and am glad we get to learn more about Gideon in this book as well. Great characters! The thing I missed most in Girl of Nightmares was the ghost herself. Anna was such an awesome character in the first book; she really made the book so much more special. And while we get to see her a few times in Girl of Nightmares, it really wasn’t enough. The book just wasn’t the same without her. The storyline for the book pretty much centers around Cas finding out what happened to Anna, and of course, him wanting to save her from her fate. 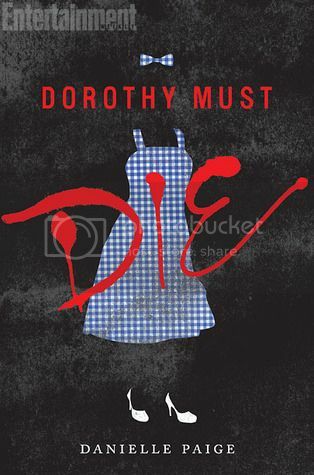 Let me tell you, this book had some major creepy moments in it. The ending was a little bittersweet for me. I’ll not spoil it by giving anything away, but it was not exactly what I was expecting, but it was definitely more realistic the way that it was written. 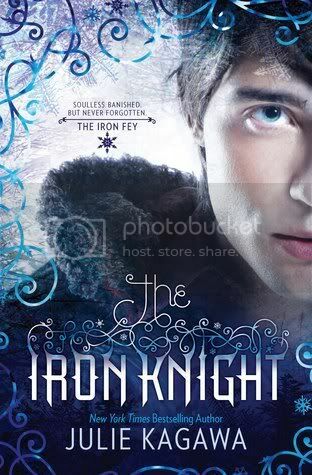 Overall; I thought this book was a great ending to the series. I’m definitely going to miss these characters! If you haven’t read the books yet, you totally should check them out, especially if you want a creepy read for Halloween! Thanks to the wonderful people at Kobo, I was once again given the opportunity to test drive their newly released Kobo Aura e-Reader. I’ve had the reader for almost a month now, and I do believe I am finally ready to share my thoughts with you on this awesome little device. Imagine my excitement when I received this awesome package in the mail! I could hardly contain my excitement as I browsed through the basket. As most of you know, I read… a lot. I’m always looking for ways to read on the go. My kids keep me busy with their activities, so being able to fit thousands of books onto a reader that will fit in my purse is a plus! I really liked the size and weight of the Aura. It’s a tad bit smaller than the Aura HD that I test drove in the summer, but still big enough for reading to be enjoyable on. I don’t carry a large purse, and I was still able to slip the device in with the rest of my stuff, and my purse did not feel weighed down. The device fits very comfortably in my hands as well. The Aura e-reader has many of the same features that I enjoyed on the Aura HD. I love that the text is sharp and clear. I could read out in the blazing sunshine with no problem, which is something that I am never able to do with my iPad mini. The device also has an amazing backlight for reading at night or in dark places. Also a plus, the light is soft, but still bright enough for me to see what I’m reading. Another plus for this device is that it has slot for a Micro SD memory card, so when the device is full, you can add even more on a memory card! That is definitely an advantage for me. This device also has a lot of really great features that many will find invaluable while they are reading. As I mentioned above, I read a lot. I loaded this device with a few different types of advance reader books that I am currently reading, and the device did well with most of them. The only type I had an issue with was PDF files. This is more of a publisher issue really, so this will not even be an issue for most readers. Overall, I found reading on the Kobo Aura e-reader to be a very pleasant experience. While the device doesn’t have all the bells and whistles on it that a tablet may have, it is great as an e-ink device. If you are like me, and are easily distracted by apps and other things while trying to read on a tablet, this device is just for you! 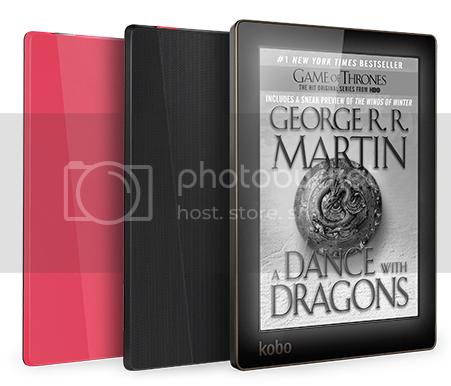 Please visit the Kobo store for more information on this Kobo Aura e-Reader. **I used this device very gently during my test drive, and it’s still good as new. I’ll be giving the device away in December as part of my Christmas Giveaway here on the blog. 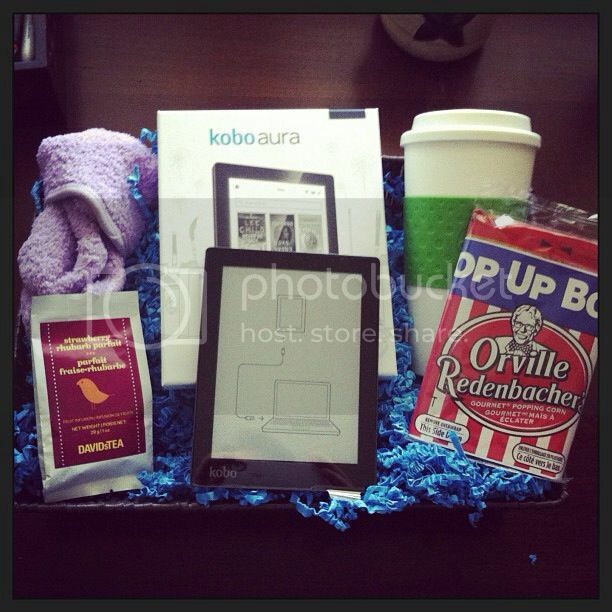 Check back for your chance to win this Kobo Aura! Kobo Aura's beautiful 6" ClarityScreen and a high res, edge-to-edge low-glare Pearl E Ink screen provides a print on paper reading experience, even in direct sunlight. The latest E Ink screen technology allows you to transition between pages without those annoying flashes and now with pinch to zoom, you'll catch every detail when zooming in to PDFs and select books. A beautiful marriage of form and function, your Kobo Aura was designed to fit ergonomically in your hand. Lightweight and thin, you can read for hours comfortably and stylishly - it's also available in pink! Carry up to 3,000 eBooks with you on 4GB of on-board memory. Not enough space? Expand with a microSD card and carry up to 30,000 eBooks! With a battery life of over two months, you just might be able to get through them all. Welcome to Kobo Reading Life™ - an exclusive reading experience for the best way to read, collect titles, discover your next great title, and share it with others. Set-up Kobo Aura in just a few simple steps from your computer or directly from your Kobo Aura using Wi Fi. * Based on 30 minutes of reading a day with ComfortLight turned on or off, and Wi Fi turned off. Resist by Sarah Crossan is the sequel and conclusion to the wonderfully written Breathe. 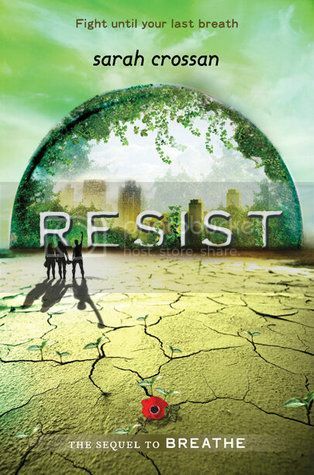 I just recently finished Breathe, and started reading Resist right away to see what was going to happen to the characters that I have come to love, and to the world as well. Resist definitely did not disappoint! 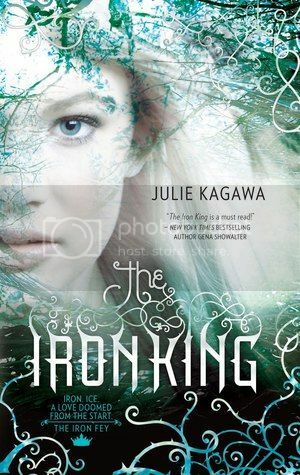 I love the characters in this book, and I feel much the same about them as I did in the previous book. Alina, Quinn and Bea are all so special to me, as are almost all of the secondary characters. I love them all. 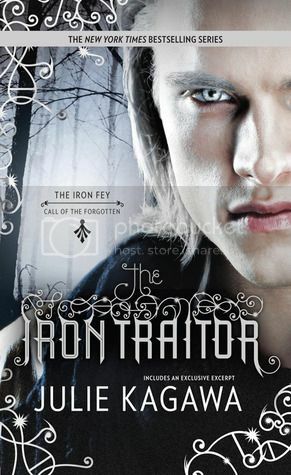 We are also introduced to a new character in this book, Ronan, who I believe we met briefly in Breathe. We get to see the story from his point of view as well, which I really enjoyed. With so many different viewpoints, I feel that I was really able to get SO much more of the story than I would have with just one or two viewpoints. The pages of Resist were packed as full of action as the pages in Breathe. There was never a dull moment, and I was kept on the edge of my seat wondering what was going to happen next. While the storyline is much the same as the first book, Crossan adds in so much more information to make the story even more addictive than before. The end of the book ties together nicely, and we are even given a small epilogue so that we can see a little of what happens down the road with these characters. 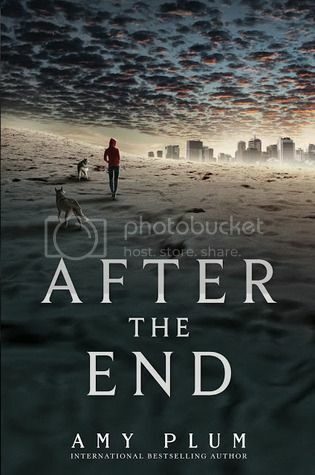 I was both sad and happy at the end of this book, feeling so many different emotions. It was great! Overall; this is such a great series! I don’t know how more people haven’t read it yet. I‘ll definitely be recommending this series again and again. I wish that I had read it sooner. 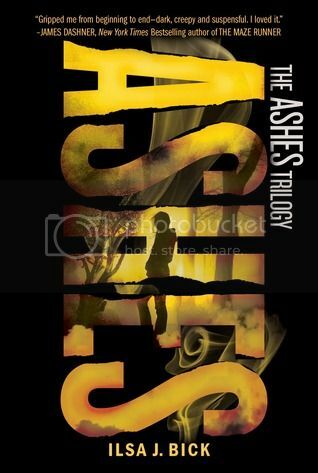 If you are a fan of dystopian novels and series, you should check this series out. It’s definitely worth the read! 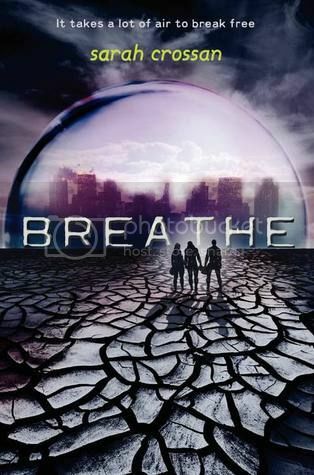 Breathe is a Young Adult Dystopian novel about a world with no air. In order to survive, you must live in a Pod, where air is manufactured and delivered to you, but at a cost. To not obey the rules in the Pod means that you either disappear, or are cast into The Outlands to die. But is the Pod keeping people safe, or keeping them trapped with a false sense of security? 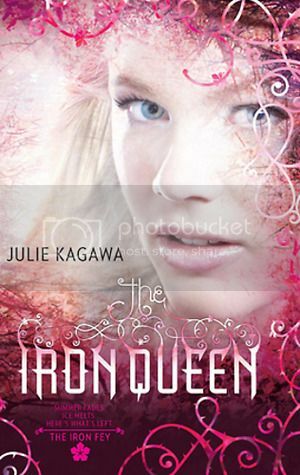 The story was told from the viewpoints of the three main characters, Alina, Bea and Quinn. It was interesting to read the story this way, as each characters point of view was so very different. They each came from completely different backgrounds, and because of this, we really got a lot more information about the world the author created. 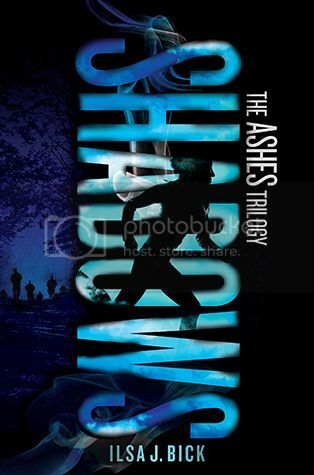 All three of the main characters were special to me, and each in their own way. Bea and Alina have not had the most perfect lives, while Quinn has always had everything at his disposal, as money was never a problem for him. But together they formed a bond to not only survive, but to do what they have to do to try to save the world. These three characters were seriously great. There were so many secondary characters that I love as well, too many to even name. Just read the book and you will see who I’m talking about. The storyline for this book is fascinating, as well as realistic. This is something I could totally see happening if the Earth is not taken care of. This book makes me want to go plant a bunch of trees. Seriously! I always try to be as eco-friendly as I possibly can, and this book is just a reminder as to why I try to do that. I want to have a world that I can breathe in! Overall; I can’t believe I didn’t pick this book up sooner. I enjoyed it SO much more than I expected to! And now that I’m reading the second book, Resist, I’m enjoying it just as much. 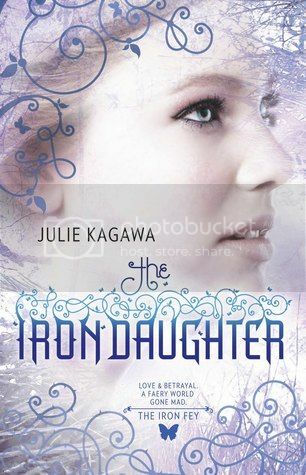 If you like dystopian type novels, you will definitely want to check this out.